I am quite happy with this flannel back tablecloth. The color is what I was looking for and the size is perfect. Sometime this size is hard to find. This is very easy to simply wipe clean. It stays in place on the table. I am very happy with this purchase. The color and size is perfect. Would buy again. It wasn’t as thick a vinyl tablecloth as i’d hoped for. It still was o.k. Slips around on my table. 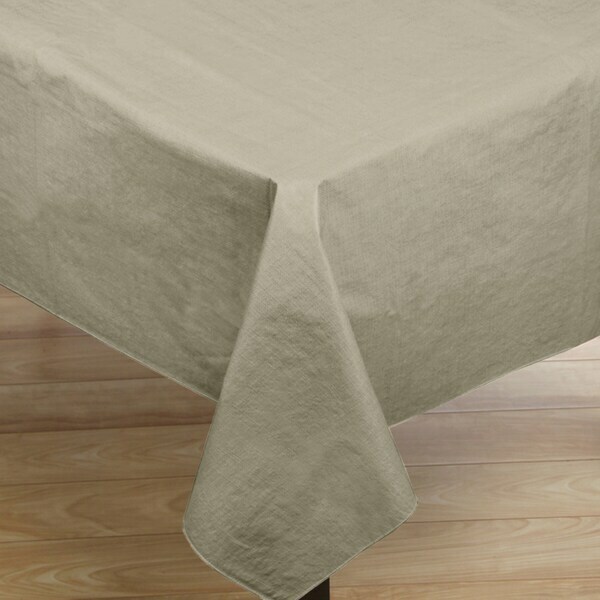 Looking for a non slip vinyl table cloth. I hope I am getting 2 tan table cloths...not off white!